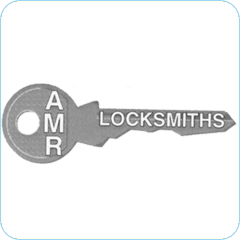 AMR Locksmiths are a reliable, independent locksmith company available 24/7, 365 days a year. We can advise, supply and fit the right solution to your security problems with no call out charges and 99% of locks opened within the first hour. Moved House? Who else has keys? Changing locks is easily overlooked when moving house but is it frightening to think how many people could have duplicate keys to your new home. We strongly recommend changing your locks when you move house for your own peace of mind. We provide a professional lock fitting, changing and upgrade service to meet the current BS3621 standard. Don’t worry, help is only a phone call away! We can gain access to your home with the minimum of fuss and inconvenience. Up and over garage doors provide an easy target for burglars. Most burglars are opportunist thieves and in many cases force is not required to open a garage door. We provide a professional garage door lock installation, upgrade and lock repair service for all garage doors.